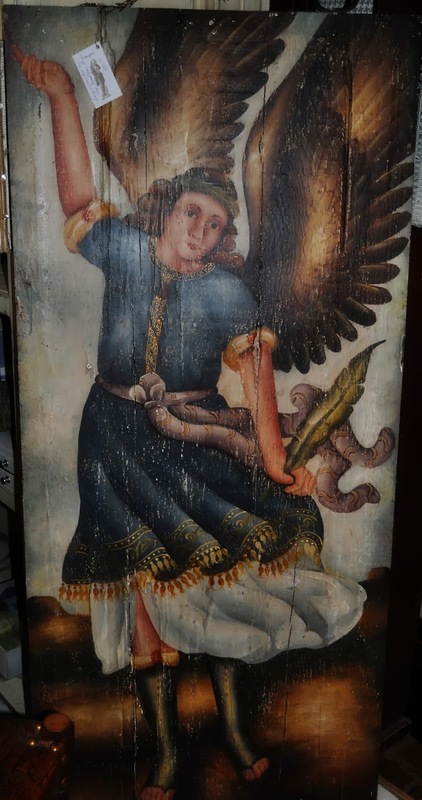 Wonderful rustic paintings of serene angels on old wood from Peru. They are very large and distressed..the perfect patina! 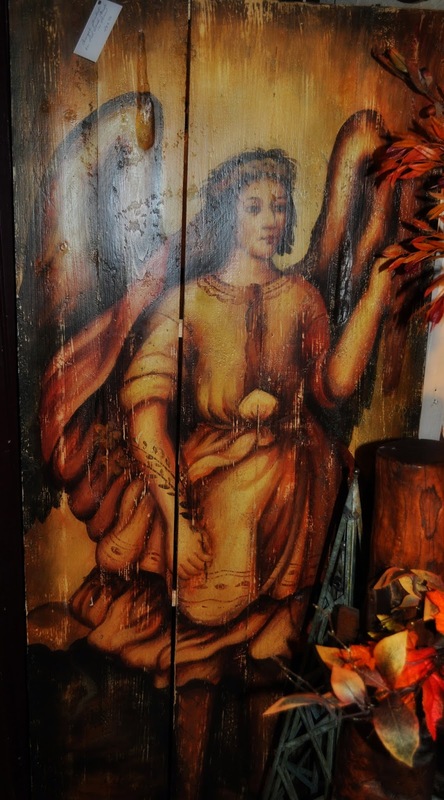 Large iron rings are in the tops of them to hang...set of two quite unique!